Once again Sync is giving away two free audio books every week all summer long. The first two books are available now, and two new books become available on Thursdays all throughout the summer for a total of 30 titles. 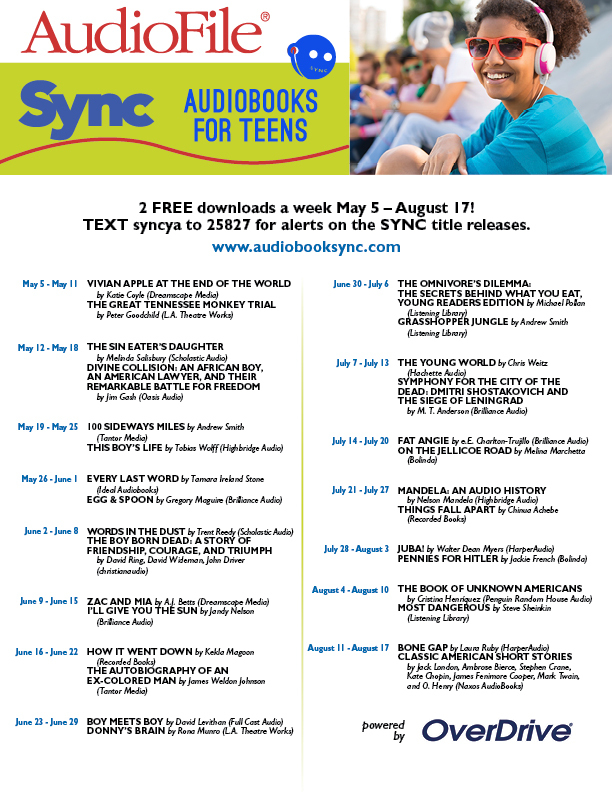 Here's the complete list of Sync 2016 titles. I haven't really looked through the list to see what the books are going to be, but you know how much I love books and free stuff, so you know I'll be downloading all of them. It's a great way to discover new books. The books are only available for one week, so be sure to grab them while you can. I've found it very helpful to sign up for weekly reminders so I get a text when the new titles become available.